With the year winding down, so are most of the competitive gaming leagues. There are still a few big events left, however, and chief among them is the fall Rocket League championship. The $150,000 prize pool event kicked off Friday at the MGM National in Maryland. Featuring the top-tier competitors from the regular season, the tournament includes four teams from both North America and Europe as well as two from Oceania. 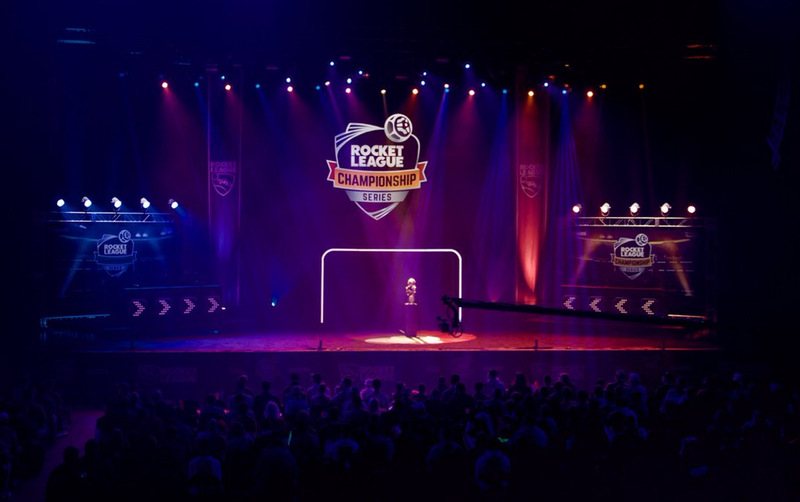 In addition, pro Rocket League being a relatively new esport, a number of the top teams have been bought or re-branded in the last year, so be sure to check out the RLCS league’s preview series to help get you up to speed on the current competition. The RLCS Season 4 finals are here at last. The semifinals are taking place today with Gale Force eSports facing Ghost Gaming at 12:15PM EST today in the winners’ bracket, while in the losers’ things start with NRG Esports vs. Chiefs eSports Club at 2:15PM. The grand finals, meanwhile, are set to begin on Sunday at 6:15PM. You can catch all of the matches streaming live in the feed below. There’s lots of qualifying this weekend in the world of Dota, beginning with DreamLeague Season 8 in North America. Optic Gaming take on Complexity at 1:00PM EST followed by Evil Geniuses vs. Digital Chaos at 4:00PM. The grand finals for that region will play out Sunday at 7:00PM with everything streaming live here. For the DOTA Summit 8 qualifiers in Southeast Asia, you can see Fnatic face Mineski at 4:00AM EST Sunday morning here. In Europe the grand finals are scheduled for 11:00AM that same day, while in South America they are scheduled for 4:00PM with all of them streaming on the same channel. Regional playoffs for the ESL Pro League Season 6 are underway this weekend. Today’s action begins in Europe with Heroic vs. Team LDDLC at 2:00PM EST while North America kicks off at 8:00PM with Team Liquid vs. Renegades. You can find those matches here. The Tekken World Tour Finals are Sunday. The $50,000 event is set to begin at 4:00PM EST in California. The sixteen best Tekken 7 players in the world as determined by regional leaderboards and the reigning Evolution Championship Series champion will compete with the event wrapping up just after midnight. You can watch them live here. While not that scale, you can also catch some competitive Tekken 7, in addition to a number of other fighting games, at today’s Rumble in the Tundra event. Pools begin around 12:00PM EST today with top eight scheduled for Sunday at 4:00PM, which you can catch live here. You can find a complete listing of the live streams for each of the tournaments involved here. First there’s Tipped Off 12, a combined Smash event with matches beginning both today and Sunday around 11:00AM EST. You can catch those here. There’s also the IBP Master Showdown this weekend exclusively for Smash 4. Pools start today at 3:00PM EST followed on Sunday by the championship bracket at 5:00PM. You can stream that event here.